Need your Dream Design will be code in Pixel Perfect HTML5 Layout? Our MChop Professionals make it truth with cross browser comptability. 5 out of 5.0 for PSD to HTML conversion services. 3000+ happy clients all over the world and over 7,500+ projects in the last 3 years. HTML5 is the fifth revision of the HTML standard. The center aim of it to imporove the language with support for the latest multimedia while keeping it easily readable by humans and consistently understood by computers and devices. Now with HTML5 your design will be code as it as without the lost of your dream design. 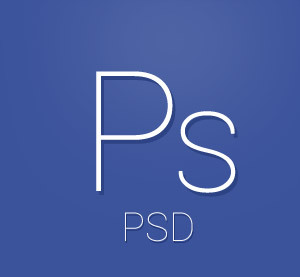 Converting the PSD to HTML / HTML5 is the fundamental feature of your PSD design. Our MChop Experts waiting for your design and ready to code it with Pixel Perfect Care. fluid, proportion-based grids, flexible images. MarkupChop an SoftUp Company. MarkupChop providing High Quality and Cost-Effective technology services to clients across the globe with 100% satisfaction. MarkupChop will code your dream design PSD to the Pixel Perfect HTML5 and CSS3. MarkupChop is one of the well known PSD to HTML conversion service provider. We are rich in developing HTML, HTML to Wordpress, Joomla development and all new latest technologies like Responsive Template Developer, eCommerce solution provider like Magento, open cart, Prestashop, etc.,. Everything will be hand code by our Professional Experts. SoftUp is a Technology Services, Outsourcing Company to make the effective performance of our clients business. SoftUp is the right destination to boost business prestige with our Award Winning Unique Web Design. Also SoftUp is the best AIRLINE OUTSOURCING SERVICE provider. Copyright © 2019 MARKUPCHOP & SOFTUP Inc. All rights reserved.